Two actors play 25 characters in this brilliant staging of classic radio scripts based on favourite episodes from the original TV series. Celebrating 50 years of Perry and Croft's quintessential sitcom, which won the 'Best One-Liner' accolade in a poll of comedians conducted earlier this year by Gold, with the immortal words "Don't tell him, Pike". Double Fringe First Award winner David Benson (Think No Evil of Us: My Life With Kenneth Williams and Boris: World King) and Jack Lane (Wisdom Of A Fool) star in this acclaimed show's London premiere season following a sold-out run at the Edinburgh Fringe. Featuring favourite lines, cherished characters and great feats of vocal impersonation! Based on the classic BBC sitcom by Jimmy Perry and David Croft. Performed by Benson and Lane with direction by Owen Lewis and sound design by Tom Lishman. Produced by James Seabright. 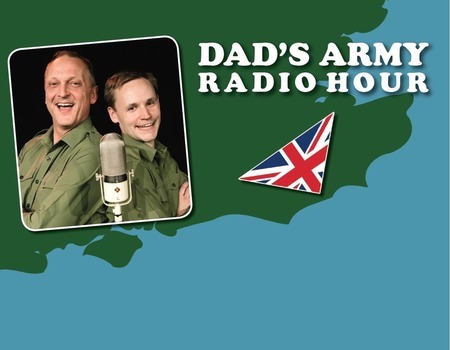 Dad's Army Radio Hour can next be seen at Arts Depot on 22 March. Visit their website for full details.